More than just buzzwords; big data, artificial intelligence, cybersecurity, and connectivity/IoT are core capabilities that are at the forefront of new solutions in both the defence and civil domains. Armed forces worldwide are investing heavily in digital transformation, especially in the digitalization of their command, control, and battlefield communications systems. Equipment being developed today results from the adoption of digital technology in the defence domain, but it also benefits from the emergence of dual civil military platforms that can connect battlefield systems with digital networks residing outside the tactical environment. Capabilities like cybersecurity are now a pre-requisite for these new capabilities. Hyperconnectivity on missions promises to drive a technological revolution for armed forces that are seeing increased demand for new capabilities to gather, share and process large volumes of data in real time. Thales is at the heart of the digital transformation of its customers, adapting to the specific needs of armies, navies, air forces and governments operating in constrained environments with strict security requirements. A new partnership between Thales and Microsoft will create a common Defence Cloud solution that will be jointly developed based on the Microsoft Azure Stack platform. It is a service-oriented and flexible hybrid cloud environment that will be fully cyber secured, sovereign, and adaptable to military resilience constraints; leveraging Thales field-proven systems integrator expertise. Today, most organizations with a real need to share content can now remain connected at all times from any type of terminal or device. Those working in defence and security share this need but have stringent requirements for security and bandwidth that this technology has enabled us to overcome. 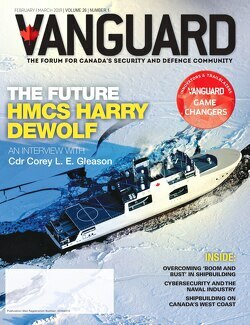 Case in point, in a connected, mobile world, naval personnel want to use their smartphones at sea without compromising security. Responding to this need, Thales developed COMTICS, the world’s first shipboard information distribution system of its kind. Intuitive, resilient and designed for mobility, it offers a wide range of operational services in a highly secure environment. The device resembles a smartphone and allows naval personnel permanent shipboard mobility and connectivity with all types of military radios, providing services ranging from video and data transfers to web browsing and social media, and the ability to chat with colleagues. With COMTICS, Thales is helping improve quality of life for naval personnel at sea, enabling crew members to stay in touch with family and friends, and making naval careers a more attractive proposition to digitally savvy recruits. It is a scalable, future-focused solution that meets the operational, security and reputational challenges faced by navies today, and it illustrates Thales’ global commitment to bringing digital transformation to its customers, making tomorrow possible today. Looking closer to home, capabilities in big data and artificial intelligence will play key roles in major programs like AJISS, the In-Service Support (ISS), refit, repair, maintenance and training to both Arctic and Offshore Patrol Ships (AOPS) and Joint Support Ships (JSS). These innovative ingredients are playing a starring role in supporting Thales’ readiness to receive the first ship under the new AJISS relational contract model. In late 2017, Thales chose Canada as a key part of its more than $1 billion global investment in key digital technologies with the creation of cortAIx, based in Montreal, a Centre of Research and Technology in Artificial Intelligence eXpertise and home to Thales’ Digital Factory in North America. For AJISS, cortAIx is supporting the development of a new in-service support digital platform – a key enabler for the AJISS enterprise to support ship availability. cortAIx is working today to marry existing predictive maintenance capabilities in aerospace and transportation, and adapt them to the unique demands and complex data environment of the naval domain. The key to AI-powered human-machine interactions is trust. AI needs to be explainable in order to be trusted, providing humans with “the why” behind the AI algorithms. Thales has made a commitment to ethical AI development that ensures humans remain at the core of these new capabilities. cortAIx will be home to 50 world-class experts in AI who will work together to strengthen the capabilities of critical technologies ensuring that it is both explainable and trusted. These activities further support Thales Canada’s role as a participant in SCALE.AI, one of Canada’s five selected Innovation Superclusters. The recent acquisition of big data company Guavus, e-security firm Vormetric, along with the planned acquisition of global digital security leader Gemalto will continue to drive Thales’ global digital transformation. As a national leader in corporate R&D investment and ranked as one of the Top 3 defence companies in Canada, Thales partners with over 500 Canadian companies and SMEs, creating value of more than $140 million annually and resulting in a proven track record of Canadian technology development. 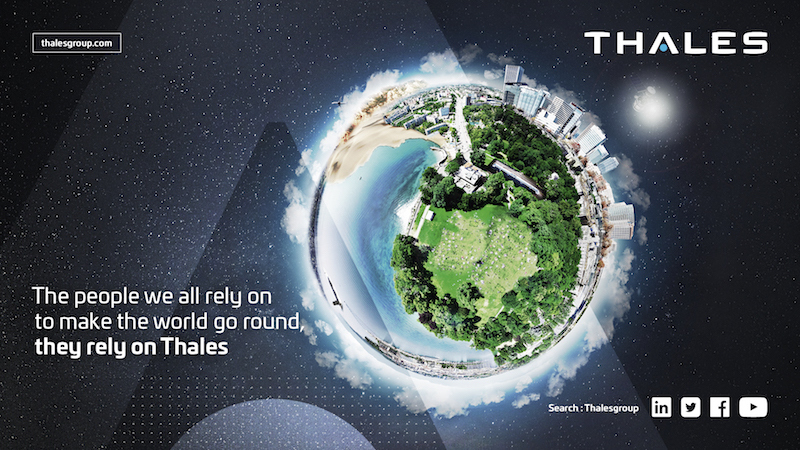 From the bottom of the oceans to the depths of space and cyberspace, Thales’ digital transformation is enabling customers to think smarter and act faster – mastering ever greater complexity and every decisive moment along the way.